You don’t have to have the luck of the Irish; or find the pot of gold at the end of the rainbow to have an authentic, full-grain Leather Flight Jacket. You can have the same military spec hand crafted leather jacket manufactured for the five branches of service with the durability and feel at an affordable price. 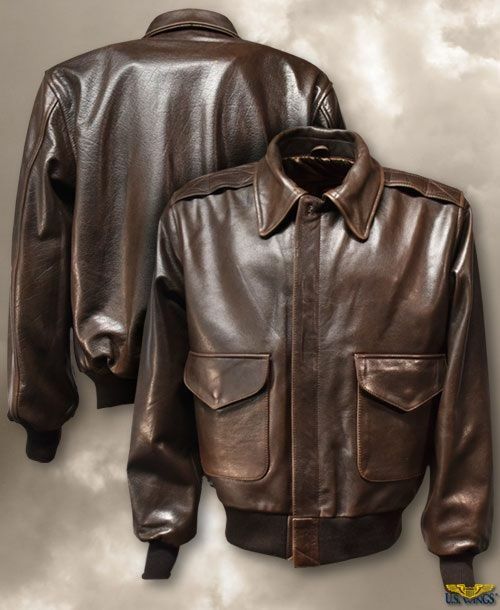 The same quality of craftsmanship that goes into the Indiana Jones Leather Jacket for the production of the Indiana Jones Epic Stunt Spectacular, that we provide for Disney World production, is the same quality in the A-2 Leather Flight Jacket that you can have personalized. You can order from my Online Store in the tool bar or A-2 Leather Flight Jacket image link below for men and the women’s. We provide A-2 Leather Flight Jackets for both men and women. The women’s A-2 Flight Jacket is featured second image. This is a three-season jacket that can be worn with khakis during the week, or with blue jeans during the weekend. There’s not a more classic look and fit of an A-2 Leather Flight Jacket. Order yours today! The A-2 Cape Buffalo Leather Flight Jacket that can provide you the adventure that aviators have loved for a century.